Ever wonder what to do with those extra beer or wine bottles after a party? Well check out Carroll Creek Glass, located out of Frederick, MD. These creatives turn recycled glass into handcut glassware. 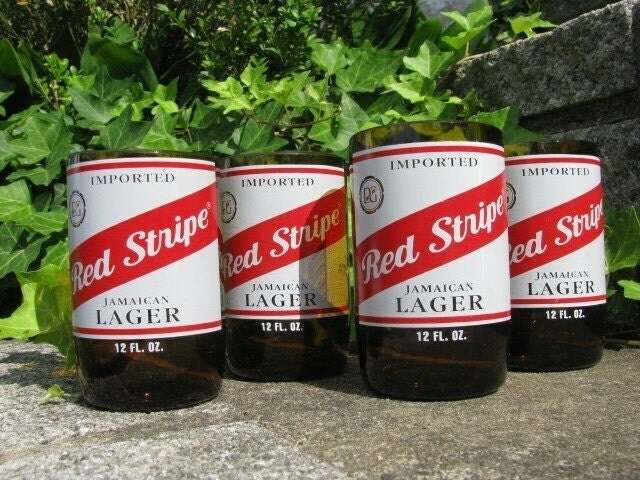 When I saw these Red Stripe Beer tumblers, I was sold. Combining the elements of environmnent, wine and art these unique glasswares will make great gifts.